BnB in Palermo downtown, near the Teatro Massimo and Politeama. A stone’s throw from all the attractions and the historical center. Book your stay now and experience the most authentic Palermo. 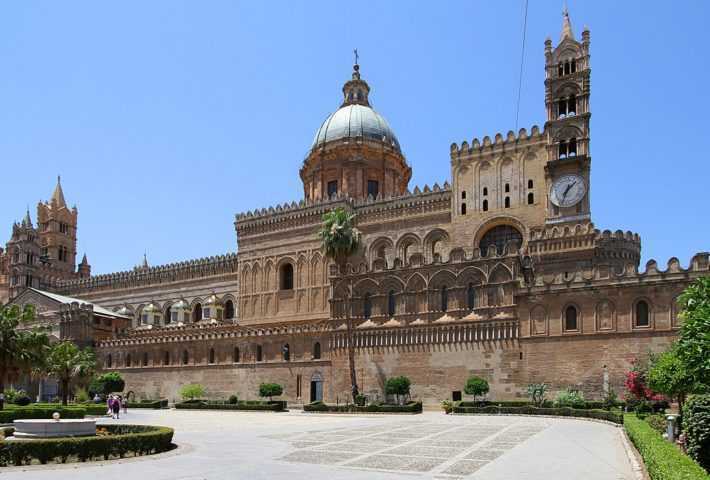 Ideal as a first approach to the city, to know the history of Palermo and the main tourist attractions. Walking tour of the historic center lasting about 4h. An authorized tourist guide, but especially a palermitan lover of art and of her own city, will introduce you to Palermo in its various facets (its history, legends and much more …), illustrating some of the masterpieces of art that it boasts and leading you through alleys and hidden corners that preserve extraordinary curiosities. A path entirely on foot, starting from the Teatro Massimo of Palermo, we will walk along the Mercato del Capo to reach the Cathedral of Palermo. Along the way we will stop to tell you the history and the evolution of the main attractions of the city. We recommend wearing comfortable shoes. The cost does not include any travel by means of transport and admission ticket. The appointment is in front of the Teatro Massimo, Italy’s largest opera house built in the nineteenth century. by the architect Giovan Battista Filippo Basile, in neoclassical style. Continue through the market IL CAPO, characterized by the scents and colors of seasonal products displayed on the counters at beautiful sight evoking the atmosphere of the Arab markets. Walking through the narrow streets that preserve ancient legends and that keep curious surprises we will arrive in the Cathedral, an expression of religious sentiment and the result of the multi-stratification of styles due to the different foreign dominations that have taken place on the island over the centuries. Visit inside the church. Along via Vittorio Emanuele we will head towards the Quattro Canti octagonal square designed in 1608 by the Florentine architect Giuseppe Lasso to frame and embellish the most important urban planning project carried out in Palermo in the modern age. The itinerary ends at Pretoria Square with its fountain, an imposing water machine made by the Tuscan sculptor Francesco Camillians in the sixteenth century.